Come and enjoy our secluded getaway location, surrounded by 400 acres of forest and wetlands on one and a half miles of private beach along the Puget Sound for your next event or retreat. 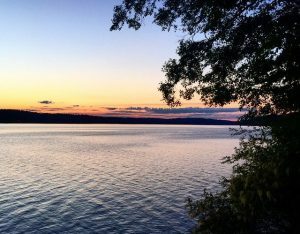 We are a located just a short ferry ride away from both Seattle and Tacoma on the beautiful Vashon Island. We primarily serve other non-profit organizations such as church groups, schools, dance groups or community organizations as well as other Camp Fire youth and adult groups in one day or multi-day events and retreats. On a case-by-case basis we can also work with for-profit organizations or individuals that can provide a general liability insurance certificate. Past groups have gathered for meditation retreats, dance classes, outdoor education, corporate team building retreats, religious services, craft workshops, lectures and more. Have your dates and ready to book? Feel free to contact our Outdoor Education and Retreats Program Manager, Josh, to learn more and begin the process of planning your Camp Sealth Retreat! Bring your next conference or meeting to Camp Sealth! We have several rooms and buildings throughout our property that can meet a variety of conference or meeting needs. We offer a variety of meeting rooms, which can accommodate up to 400 people, and several different styles of lodging. Meals can be added to your conference, retreat or event and will be tailored to your specific needs. Our kitchen can handle most special diet and allergy requests, and can customize to suit the needs of adult or youth groups of varying sizes and budgets. Activities can be added on for per-person fee and include canoeing, archery, bouldering wall, arts and crafts, or guided hikes and environmental education. Bring your school, sports team, club, or corporate office for team building on our low ropes challenge course, facilitated by the Camp Sealth staff. Feel free to browse our Retreat Planning Handbook for more specific information on our facilities, offerings and how to prepare for your event at Camp Sealth! 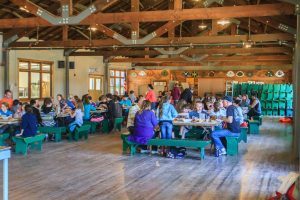 Every retreat with us is different and our rates are based upon facilities and spaces used, meals and activities provided, group numbers and other factors unique to your group. For current rates, please inquire below.